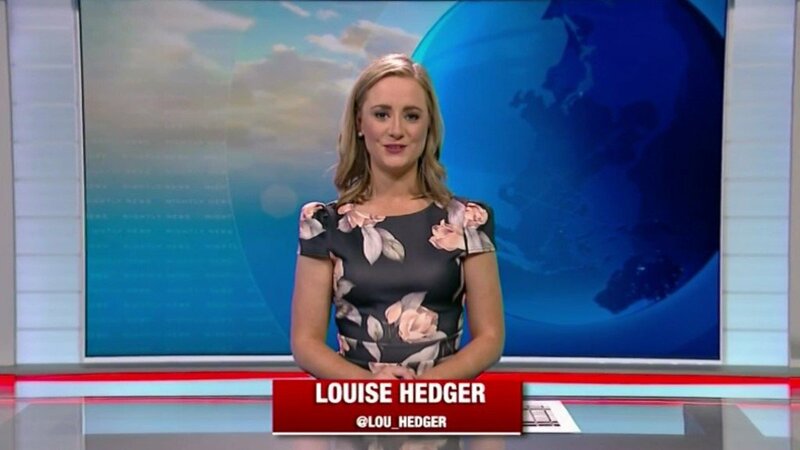 Although I hardly had high expectations for this relaunch (it’s certainly unrealistic to expect TCN-like On-Air Presentational magic from the smallest full local news bulletin in Australia), this rebrand attempt is very poor IMO. But the strange thing is, Tasmania has metro quality graphics at their fingertips even in Hobart. Hopefully by the end of the week things will have been smoothed over and the bulletin will be full Lonnie-look with supers and OTS. I’m not sure, but based on the flaws made by GTS/BKN, I was convinced that Canberra still has master control with Tassie just maintaining the studio. It’s up to the members of Media Spy on rating the supposed relaunch, but they really need Launceston’s help. The YouTube channel just updated the channel name, banner and everything except the icon. God the supers look so outdated. No idea why they couldn’t use the same Tasmanian graphics. Which Tas studio is this recorded in? (Is it live? Is it in HD?). Recorded in the Hobart studio @ around 3pm. Correct - Canberra still has control, for the short time being. Now, that’s probably the case. Maybe transitory period. Wondered about this as the sport for the Tas bulletin has still been happening live from there. I get that the Regional SA/Broken Hill bulletin mightn’t be able to go to air live because the studio may need to be used for Tasmania’s bulletin, but 3.5 hours (currently four with the bulletin airing on 7TWO in January due to BBL commitments on the main channel) is an extremely long window between recording and airtime! Would it be longer while there’s still stuff being done in Canberra? Once it’s all produced from Hobart that window might narrow. I’m starting to think that the retention of most elements of the old look in Regional SA/Broken Hill might be some form of editorial decision rather than one which points to Canberra still being in control of the playout. Judging by the uploads, they were slightly animated (sliding in/out) for the first bulletin of 2019 compared to only fading in/out during last year’s final edition as Southern Cross News! Tasmania-style opening VO was added Tuesday night, with location and presenter obviously changed. The bulletin isn’t coming from the 7 Spencer Gulf studio though? Looked and flowed a lot better than their opening night. Well technically speaking it is coming from the station’s studio, it just so happens the studio is based in Hobart. Not inaccurate, just cleverly misleading like typical television. Once the full control moves to Hobart, one thing they can learn from their Launceston sisters is to upload the bulletin the night of airing. It’s filmed long enough in advance anyway so there should be no excuse. Also, would it be logistically possible for them to one day live read the SA news from Hobart? Do they have a TOSS to spare to bump Tas sport out of the main studio? Remember all of the other updates that are recorded there too for Nine Tas and other markets which takes up time.